On April 14, Taiwan’s military announced its newest weapon in times of war: food with prints in simplified Chinese calling upon recipients to defect. 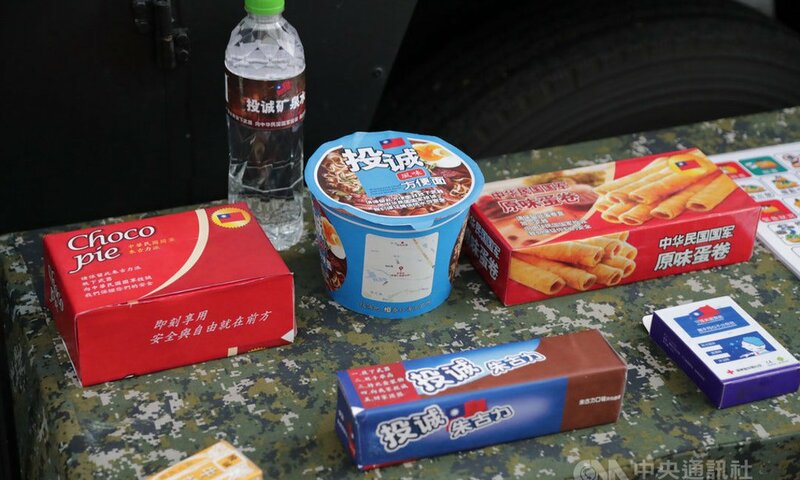 An assortment of food items such as Oreos, caramel candies, Choco Pies, egg rolls, and bottled water were presented in a press conference as Taiwan’s newest tool of cognitive warfare. There is one difference – their brands are replaced with “Surrender” (投誠) instead of the their typical names.